There is a seismic shift in the makeup of the global workforce. For example, in the US, there are now 92 million millennials and in just a few short years, by 2025, millennials will represent 75% of the workforce. This is accompanied by significant purchasing power among this generation, spending $600 billion each year in the U.S., and representing $2.75 trillion in spending power globally. However, millennials won’t just buy anything. Having grown up in a progressive world of globalisation and economic disruption, this generation holds a very different worldview in comparison to previous generations. Millennials seek meaning, like to rally around important causes and increasingly look for authenticity. They are naturally opinionated sceptics that are perpetually filtering overwhelming amounts of sources, misleading content, and ‘fake news’. Millennials are inherently curious and often suspicious of information they receive, and they question companies’ motives and authenticity as they see beyond the bright lights, catchy slogans and humorous puns and are not immediately swayed by brands with entertaining ads and talking meerkats. This has all led to a world where trust has become a form of currency. Alongside this new currency and this generation’s collective concern and desire to act, leaning more heavily towards environmental initiatives than ever before, businesses are feeling the pressure to adapt their social and environmental practices. Millennials’ suspicion towards the motives of businesses coupled with a desire to actively make an impact on the world has given birth to a new, overwhelming demand for corporate sustainability. How can companies keep up? If companies want to keep up in this rapidly changing world then they must acknowledge their wider impacts and what they can do to be more than just sustainable – a key concern for the millennials generation. Companies therefore have to adapt processes and production practices to make their products sustainable and seize the opportunities created by this rapidly growing generation of consumers. Companies must wake up to the fact that “87% [of millennials] would be more loyal to a company that helps them contribute to social and environmental issues”. This is true across a broad swathe of product categories, including pet, apparel, beauty, and, food and beverage. 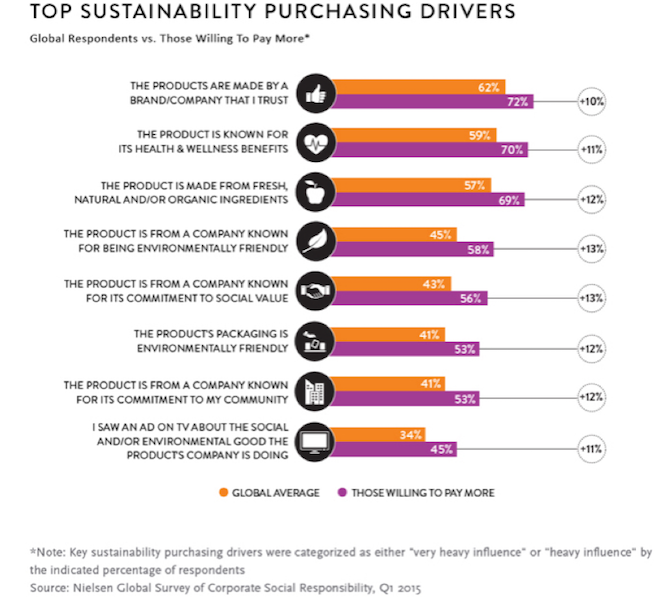 Therefore, brands that establish a reputation for environmental stewardship and social responsibility among these customers have the opportunity to not only grow but also to build brand loyalty and gain traction in the power-spending generation of tomorrow that demonstrates increasingly less brand loyalty than baby boomers. Millennials want companies to be actively invested in the betterment of society, the solution of social problems and in prioritising ‘making an impact’ on the world. More than this they also want companies to be open and honest about their efforts and to be transparent about their supply chain and environmental impacts. Millennials also want companies to involve their customers in their good works. They want the opportunity to give back and be empowered to do good! This contradiction goes some way to explaining why many companies like Amazon, for example – a company whose vision is to be ‘earth’s most customer-centric company; to build a place where people can come to find and discover anything they might want to buy online’ – show no signs of slowing in growth yet have no ‘greenwashing’ and are not led with purpose. Even though millennials love purpose so much… begging the question: Are millennials more attitudinally green than behaviourally green? The answer is not straightforward, but some further evidence suggests corporations are erring on the side of good citizenship for the long game. 74% of US based executives’ responses to a survey from the Economist Intelligence Unit say corporate citizenship can help increase profits at their company. 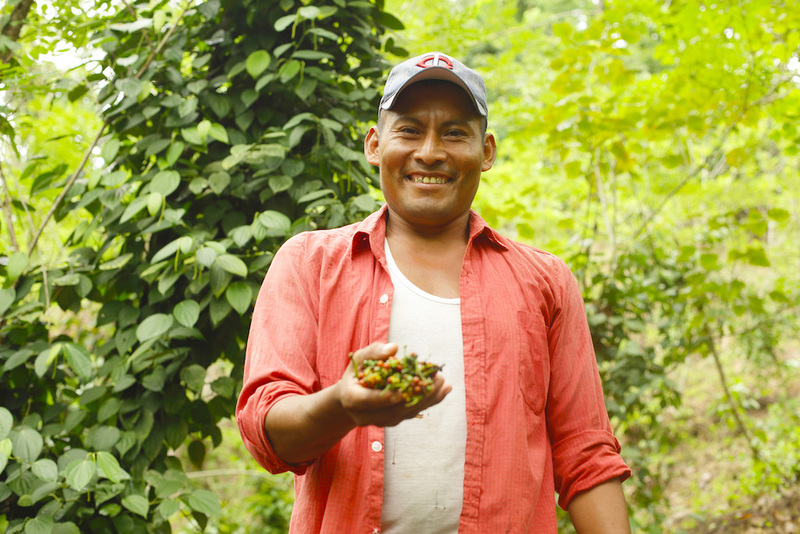 Many successful businesses are prioritising sustainability more than ever before. Sustainability reports, the publicly released records of a company’s progress against their sustainability strategy, are taking the business world by storm. With 7,838 reports published worldwide in 2014, sustainability reporting showed a sharp 30% rise in popularity over four years. As of 2016, over 9,000 companies around the world have signed the UN Global Compact – a promise to uphold social responsibility in human rights, labour standards, and environmental protection. Whether or not millennials are attitudinally green or behaviourally green, something has inspired and catalysed this sudden shift in attitude. Corporate sustainability is growing and companies are becoming more environmentally conscious. 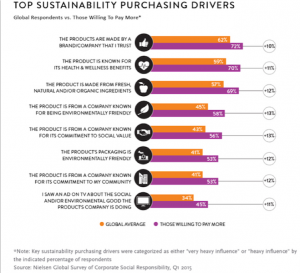 So, yes, millennials want sustainability to be a top priority. No, they don’t like companies that chose profit over purpose. But that doesn’t mean they can be tricked… companies need to be careful about simply choosing a social problem to look good and meaningful on their website. Millennials like transparency, and will soon sniff out a company that doesn’t support a cause that makes sense to their company and one they truly care about and are just using it as a “going green” marketing ploy to get at their wallets. Simply put, if a company wants millennials to buy their product, this consumer group needs to buy into their brand story first. The best thing a company can do is acknowledge this movement and quickly adapt, the alternative is they get left behind. 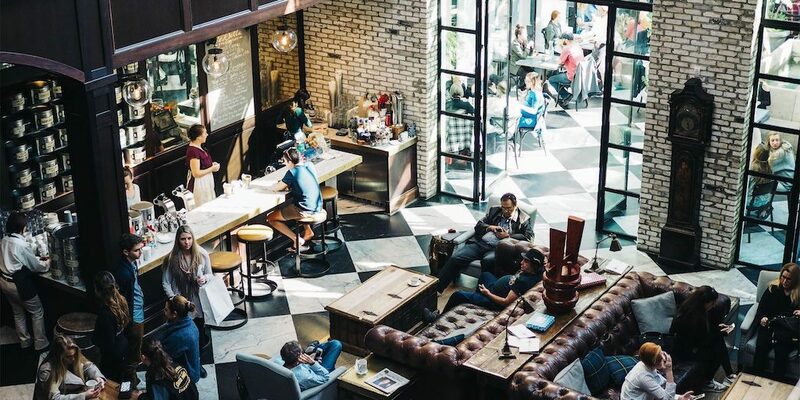 This isn’t just for new, young brands, even established industries must adapt their business models if they want to bring millennials on board. And as for developed companies, they need to deliver good social and environmental performance alongside engaging in sustainable practices or their future growth may be uncertain.